Israeli authorities claimed recently that labeling products made in Israel would harm Palestinians. This happens as the BDS movement continues to flourish across the globe.This is one of the most jejune and ridiculous claims Israel has made in regards to the current economic and political situation of Palestine and reaches new heights of irony. Israel, the occupying force, is completely dismissing its occupation of Palestine and explaining that harming its own economy might harm Palestinians. Israel has, and still is, ethnically cleansing Palestine, jailing activists arbitrarily, destroying homes and abusing human rights on a daily basis. It is now giving lessons about what would potentially harm Palestinians. Labeling products from Israel would make every individual worldwide politically responsible for their own decision to buy or to boycott Israeli products, and therefore to support or boycott an apartheid state. More than 170 Palestinians organizations called for BDS understanding that boycotting Israeli products is one of the nonviolent ways to inform the international community of the crimes committed by Israel and hold it accountable. It is a bottom-up solution to the occupation. It is a plan for peace and justice that is radically different from others promoted by certain powers that failed miserably. Contrary to the sanitized US foreign policy “economic peace” plan that John Kerry unveiled in order to improve economic conditions for Palestinians, a plan that that has been tried and proved to be unsuccessful, BDS targets the core of the problem: Israeli occupation and apartheid. South African blacks living under apartheid knew the cost of boycott. They knew that because part of the population was in control of all the resources, it meant that their daily life would worsen. However, they also knew that the boycott would help denounce the suffering of their people. Palestinians too are conscious that they are the victims of a vast colonial project. Israel, as all colonial projects, makes the economy of the people it occupies dependent on its own. However, Palestinian activists understand that only real pressure on Israel, including economic, will help them achieve self-determination. By arguing that Israeli products should not be labeled because it could harm Palestinians, Israel is acting as the “perfect” colonial power,. Only a colonial power believes that it is enlightened and superior to the indigenous people it colonizes and therefore knows what is in their best interest. Many companies like SodaStream that are benefiting from the occupation argue that they are providing Palestinians with much needed jobs. An article published on Electronic Intifada shows that the working conditions offered to Palestinians are close to slavery. Palestinian workers have denounced the living conditions that they were under. 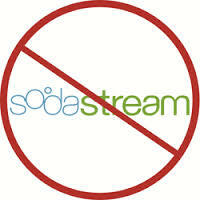 Palestinians do not need such jobs from SodaStream and others. They need these companies to stop exploiting their labor, land, and resources. Civil society across the world can pressure these companies to stop benefiting from occupation by joining the BDS movement.